Burke County considers the impact of a teacher’s influence on students’ performances throughout the duration of their academic careers the most significant of all educational experiences. “Research suggests that one effective teacher can accelerate student learning over more than one grade level, while an ineffective teacher can cause students to fall irreparably behind (Rand Corporation)” (GaDOE, 2016). Consequently, it is necessary that Burke County invest in a comprehensive and enduring teacher induction program that supports the retention and growth of induction phase teachers. Induction involves ongoing, systematic training and support for induction phase teachers that begins prior to the first day of school and is continuous throughout the first three years of teaching. 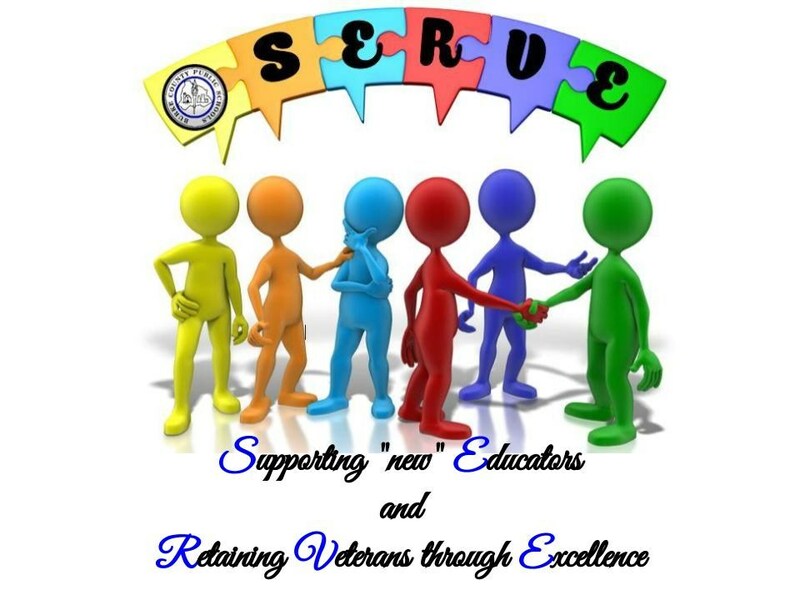 The purpose of SERVE is to provide a supportive professional community for teachers who are new to education, the district or a particular school or grade level. As a result of this program, Burke County will enhance the collegial environment in our schools and facilitate on-going professional growth for new and veteran teachers that leads to more effective teaching and enhanced learning. Burke County Public Schools are dedicated to the success of all members of our school community—students and teachers. In order to support our new teachers and contribute to the enhancement of our student’s learning, Burke County has developed this comprehensive induction program that engages new and veteran teachers in collegial, professional growth centered on mentoring.